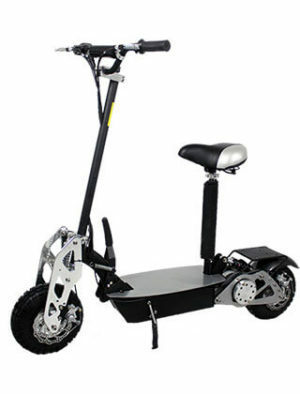 The PS-500L, a 500 watt Lithium Powered Electric Scooter, is designed also to be used as a kick scooter as it has a Brushless 500 watt Hub rear motor with no chain allowing for a completely drag free ride which gives you unlimited top end speed depending on what speeds you are comfortable with as you kick or coast ( down a hill ) . CHARGE SYSTEM: 6v Smart Charger that cuts off when done Charging. High quality UL battery & charger. 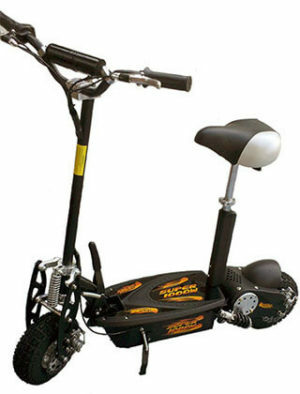 RANGE: Up to 24 miles per charge, but has endless range because it is a full kick scooter whenever you want it to be. MAX RIDER WEIGHT: 250 lbs.